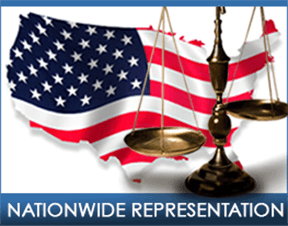 With over 40 years of litigation experience, Jazlowiecki & Jazlowiecki law firm is affiliated with some major firms throughout the USA and Canada on both the eastern and western seaboard and gulf coast. We work in partnership with these firms to prosecute cases of mass casualties on land, sea and air whether as an individual case or part of a class action and/or mass torts. We partner with the best firms in every specialised area of law throughout the country and Canada to best benefit the injured or deceased plaintiffs. Admiralty and maritime law include a plethora of special rules, duties rights and procedures. Within the context of personal injury and wrongful death, and admiralty, maritime law gives rights and remedies to persons injured and killed in a myriad of scenarios. Because these are specialized proceedings, one needs an attorney well versed in the practice and procedures of maritime law. There are a myriad of choices in choosing the proper venue and prosecuting a maritime death or injury case successfully. State courts are usually the preferred venue because they provide a trial by jury which is usually advantageous to the plaintiffs. However, sometimes defendants try to get federal jurisdiction in which the case is tried to a judge and not a jury, which usually benefits the defendants. Thus, choosing the proper forum is an important decision which can have a tremendous effect on the outcome and value of the case. Questions? Call Toll Free: 1-888-606-0063 - Free Case Evaluation! You will never regret getting accurate information that might change your life or the life of the one you love. We realize that this is likely a difficult situation for you and your family and we are here for you. If you have been injured or lost a loved one in an maritime accident, contact our law office today. Our Attorneys are standing by. Call us now! It’s Free! Under the Jones Act, first promulgated in 1920 and updated in 1970, seaman are entitled to recover if the negligence of the employer played any part whatsoever in causing the injury or death of a seamen. This is the well know “scintilla” of negligence standard which provide an exceedingly low standard of the negligence of the employer’s part for plaintiffs to prevail. 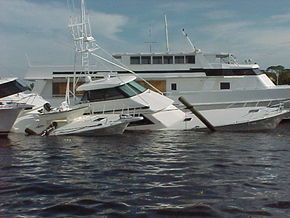 Negligence under the Jones Act contains elements analogous to most negligence cases, being a duty to the plaintiff, breach of that duty, that breach being a proximate cause of the injury and an actual injury. The negligence includes failure of the employer to provide a safe work environment, such as a vessel which is unseaworthy, existence of dangerous and defective condition on the vessel, or any breach of duty of care, such as providing an unskilled captain, overloading of a vessel, directions to sail in unfavorable or dangerous conditions or waters, etc. Please contact the Law Offices of Jazlowiecki & Jazlowiecki for a free consultation. We handle cases involving Admiralty & Maritime Law as well as personal injury, wrongful death and mass torts which include plane and train disasters. If you believe you may have a claim please be sure to contact us immediately as timely filing is imperative to bringing a claim. **We are affiliated with one of the premier Maritime and Admiralty law firms in Florida, Stroup & Martin P.A. Injury Call Center - Toll Free: 1-888-606-0063 - Free Case Evaluation! Please contact the Law Offices of Jazlowiecki & Jazlowiecki for a free consultation. We handle cases involving Admiralty & Maritime Law as well as personal injury, wrongful death and mass torts which include plane and train disasters.If you believe you may have a claim please be sure to contact us immediately as timely filing is imperative to bringing a claim.